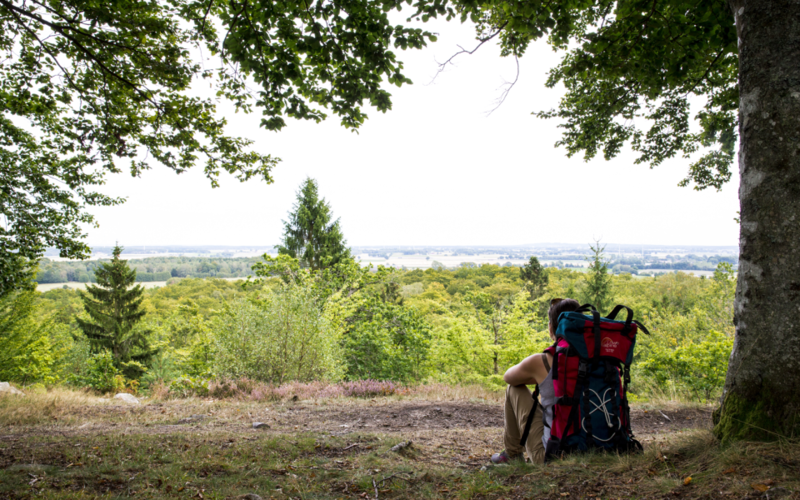 Hike to the top of Ryssberget hill where the counties of Skåne and Blekinge meet at 150 metres above sea level. Lush beech forest and majestic views over the Listerlandet Peninsula jutting out into the Baltic feed the soul, while the rocky remains of an ancient glacial lake will fuel your imagination. This section of trail in the northeast corner of Skåne starts at the town of Sölvesborg and leads you up Ryssberget, along forestry tracks and over stony paths through vast deciduous forests. Pause to take in the view over Listerlandet, now a peninsula, but once upon a time an island. Next up is Ryssbergsstugan Cottage, a popular gathering place for visiting hikers and locals alike. Notice the small pebbles alongside the path, remains of an ancient shingle beach. These pebbles show us where the shoreline of the ancient lake, Baltic Glacier Lake, was 12,000 years ago. Ryssberget is a raised block of the earth’s crust lying between two faults, a horst in geological terms. At its highest point, it reaches 157 metres above sea level. The counties of Skåne and Blekinge meet at the ridge, and the home of the largest beech forest in Blekinge. 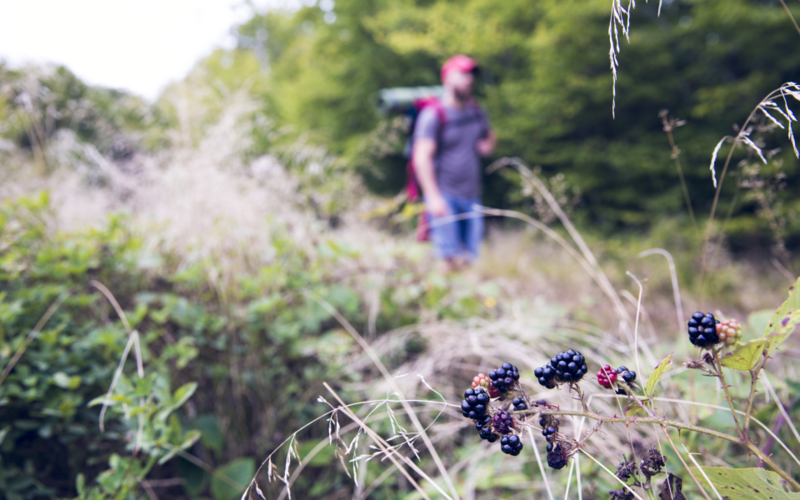 Continue your ascent, through spruce plantations, coming closer to Grundsjön Lake, where the countryside changes in character and beech forest, rich with wildlife, lines the slopes along the trail. There is a nature reserve on Ryssberget, and some areas are classified as woodland key habitats. Grundsjön Lake itself is a paradise for dragonflies, including various species of the genus Leucorrhinia, otherwise rare in Skåne. Be sure and pack your fishing gear. Grundsjön is stocked with rainbow trout, there are plenty of docks where you can fish and grill pits where you can prepare your catch. Please be aware that you need a fishing license in order to be able to fish there. Keep an eye out for Gammalstorp Church, on a little hill around 8 kilometres north of Sölvesborg. Up until the beginning of the 1900s, the hill on which it stands was an island in Lake Vesan. The present church was built in the 1700s, while the west and south walls are from medieval times. But this site has been a place of worship much longer. There was a church here as early as the 1100s, and before that the Vikings enacted their own pagan rites at this place. The associated village was on the mainland. Lake Vesan was drained for agricultural purposes. This is one of the oldest sections of the Skåneleden Trail, opened in 1978.